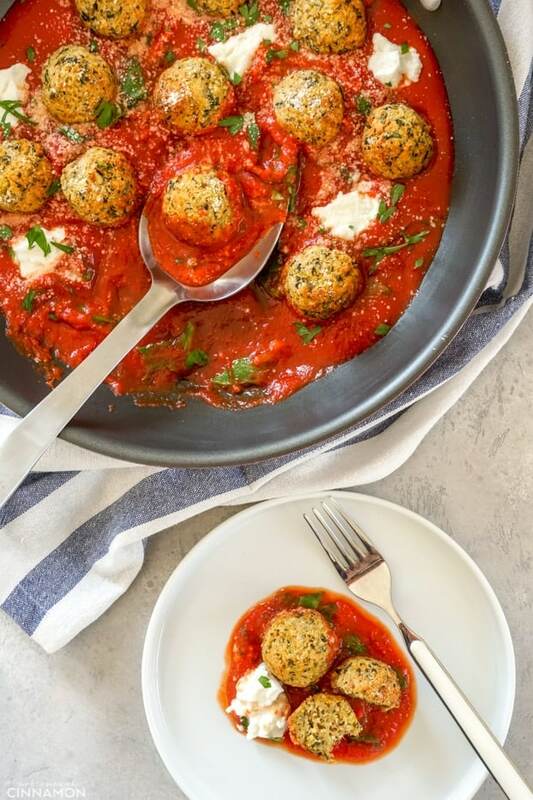 Baked meatless “meatballs” made with grated zucchini, herbs, breadcrumbs and a touch of Parmesan, in a delicious marinara sauce. Serve them over zucchini noodles, pasta or as an appetizer! Vegetarian and easily gluten free. Move over, meat! Zucchini are here to take over the world! My favorite sneaky veggie is back with another trick. This time, it’s not to make the “moistest” patties (like here or here) or fake-good-for-you- pasta (spiralized zucchini, anyone?) but to make meatballs, without the meat. How crazy and wonderful is that? Doesn’t matter if you do love meat meatballs (I do and I’m not disowning them! ), these meatless meatballs are fantastic, too! they don’t taste like bare zucchini – which is a plus in my book! They taste like basil, oregano and parmesan, with a touch of lemon. In other words: not bland at all. they are versatile! You can serve them with pasta, zucchini pasta, rice, cauliflower rice… I love the sauce but you can also serve them without and they’d make great appetizers, too! good for you! there’s a whole big serving of veggies in there + they’re low calories AND filling. Me loves. Step 1 – In a large skillet, cook some garlic and grated zucchini. This will help develop the flavors and most of all, make it easier to drain as much moisture as possible from the zucchini. 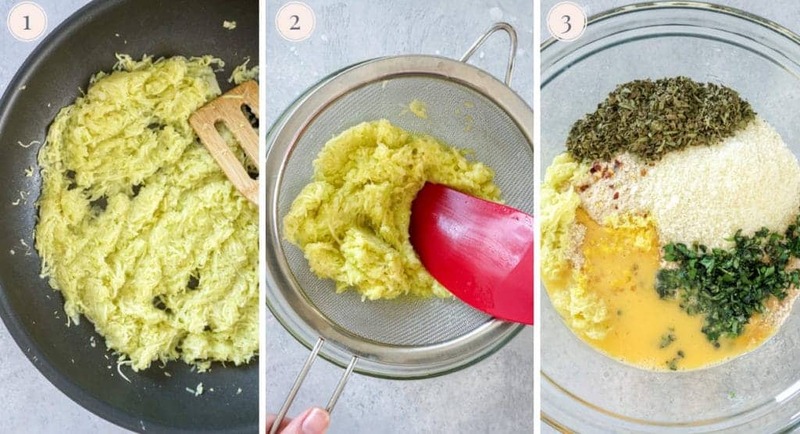 Step 3 – In a large bowl, combine the drained zucchini with the beaten eggs, breadcrumbs, herbs, lemon, parmesan and red pepper flakes if using. Step 5 – Shape into meatballs, making them as compact as possible (so they don’t fall apart). Place them on a baking sheet lined with parchment paper sprayed with a bit of oil. Step 6 – Bake for 22 to 25 minutes or until golden. Step 7 (not pictured) – In the same skillet you used before, reheat marinara sauce, and add in the spinach and lemon. Reheat the zucchini meatballs. Add a few dollops of ricotta cheese, sprinkle with parmesan cheese if you feel like it, and serve! Cooking the zucchini in a skillet first might sound like an unnecessary step but it’s actually very important to deepen the flavor and most importantly, to help get as much moisture as possible out of the zucchini. That’s key for the meatballs to hold their shape! Don’t skip the draining step, either! You can use a food processor with the grating attachment to speed things up (this is the one I use and love). Grating the zucchini thinly helps remove more moisture. Freezing: let the meatball cool completely and freeze them in a single layer (don’t make the sauce). Once they are frozen (after a couple of hours), you can transfer them to a smaller container or ziplock bag. Defrost them in the marinara sauce on low heat. 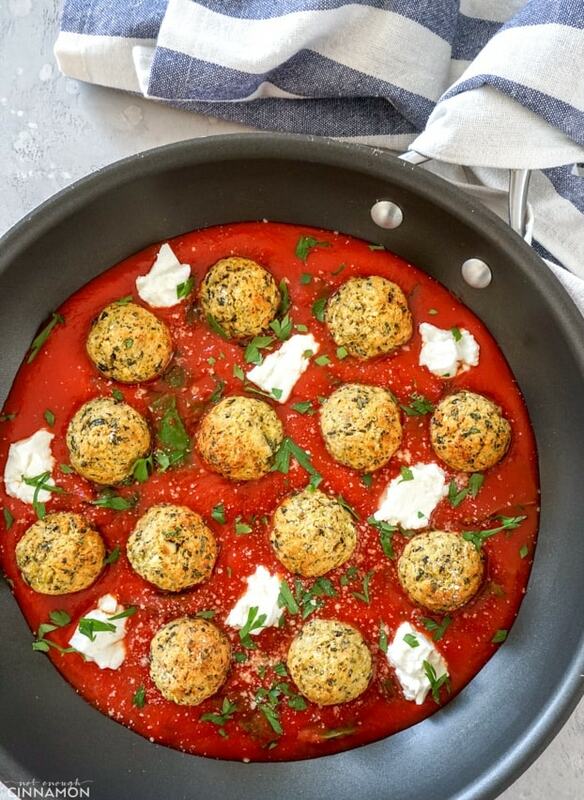 Baked meatless "meatballs" made with grated zucchini, herbs, breadcrumbs and a touch of Parmesan, in an improved marinara sauce. Serve them over zucchini noodles, pasta or as an appetizer! Vegetarian and easily gluten free. Preheat oven to 375F / 190C degrees. In a large saucepan, heat olive oil over medium high heat. Cook garlic for 1-2 minutes, stirring often, then add zucchini. Cook for 5-7 minutes or until moisture has evaporated. Add zucchini to a fine mesh sieve and press all liquid out, using a silicon spatula to press mixture. Allow to cool for 10 minutes. Add mixture to a large mixing bowl. Stir in lemon zest, herbs, breadcrumbs, egg, parmesan and red pepper flakes. Mix until well combined. 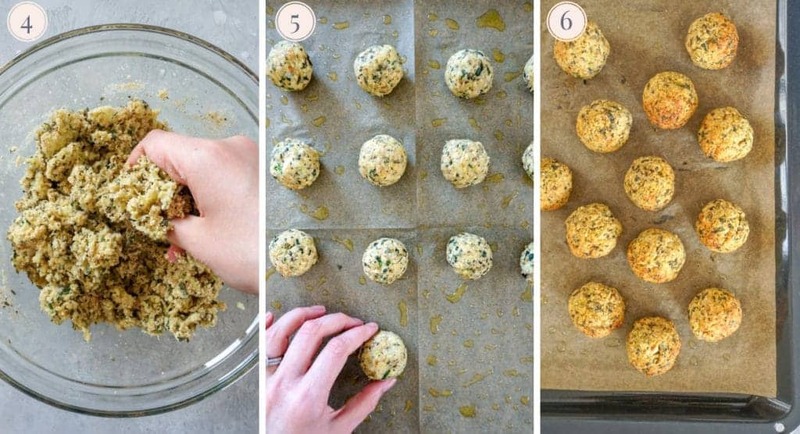 Form into 16 even “meatballs” making them as compact as possible (so they don’t fall apart) and add to a greased baking sheet. In the same saucepan, heat marinara sauce over medium heat. Fold in lemon juice and spinach. Add meatballs and continue cooking until meatballs and sauce are warmed throughout. Dollop with ricotta and season with flaky sea salt and freshly ground pepper. Sprinkle with a bit of parmesan cheese and parsley, if using. Serve immediately. Don’t skip draining step, either! Use a food processor with the grating attachment to speed things up (this is the one I use and love). 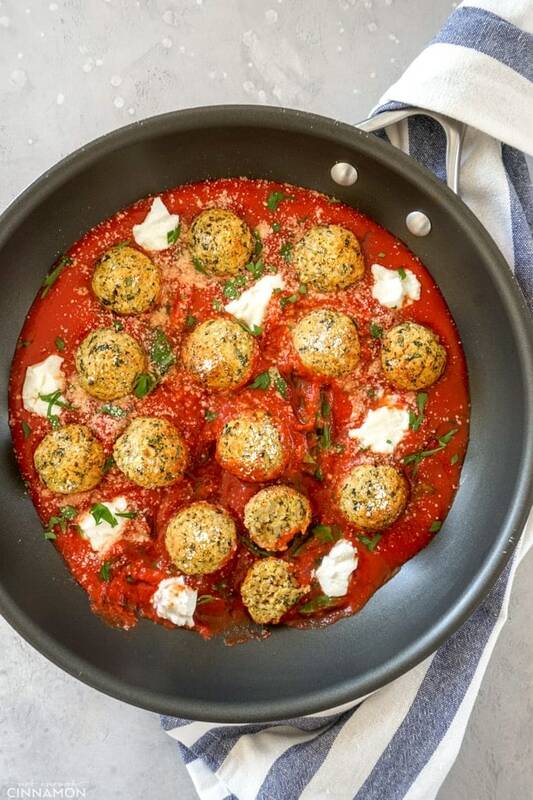 If you tried these zucchini meatballs, don’t forget to rate the recipe below and let me know how it went in the comments – I love hearing from you! You can also follow me on Instagram, Pinterest and Facebook for more deliciousness and behind-the-scenes! 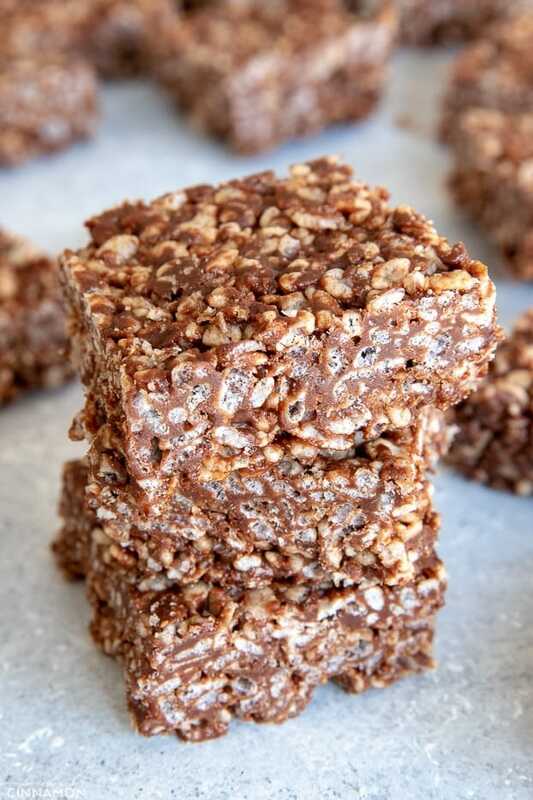 I cannot wait to try these – they look and sound so delicious! I always have a ton of zucchini in the summer and I’m always looking for new ways to serve it! This is great! I can’t wait to them! YUM! 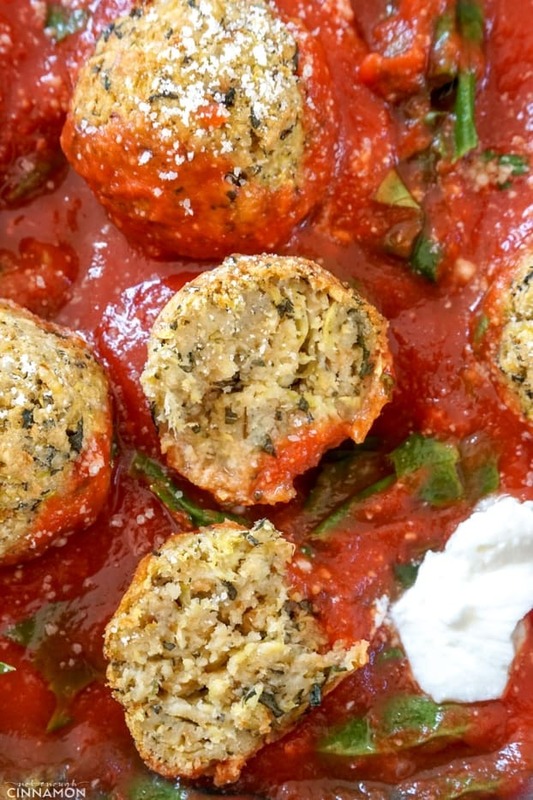 I love zucchini in meatballs – such a great addition! 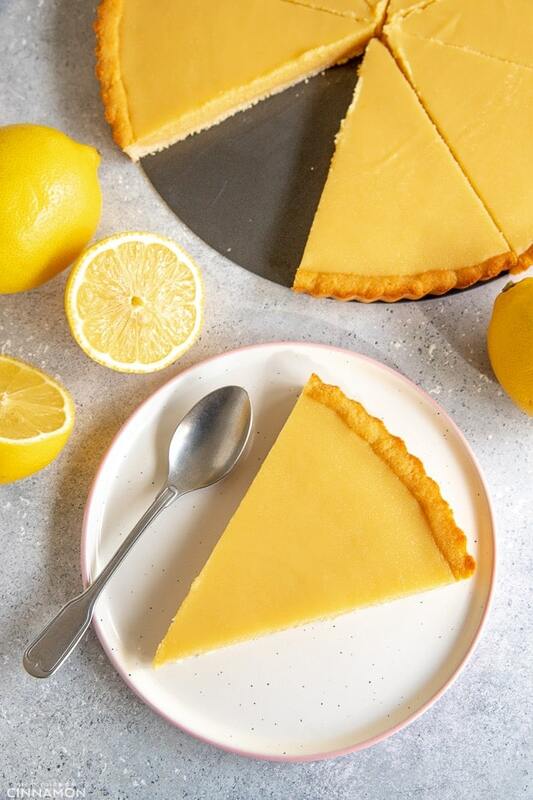 Looks so delicious and the photographs are stunning! These are so good! I love zucchini and this is such a good idea! The texture is perfect, and the taste is amazing! 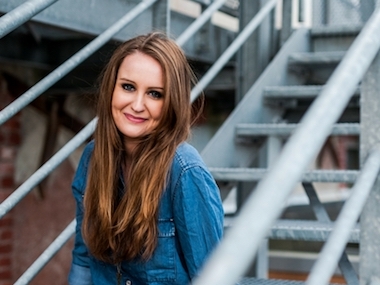 So glad you loved them Katie, thank you! They look so flavorful. I can see making a sandwich out of them too. oooh yes a meatball sub! It would be fantastic! So delicious! 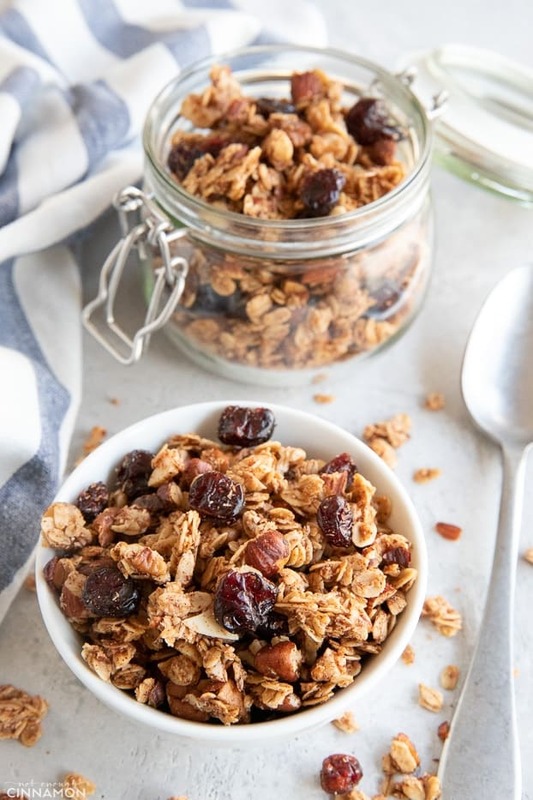 Perfect for a new Meatless Monday favorite!